2 Brick Kiln Barns01263 715779work01603 870304fax Self-cateringNumber 2 Brick Kiln Cottages may be booked with its next door neighbour to allow groups to holiday together with flexibility. It is a bright and airy single storey property with delightful countryside views. Set in the village of Dilham, it is ideally placed for exploring the Broads, local nature reserves and thecoast. • Other: Linen and towels provided, travel cot. The patio area leads on to the lawns and has beautiful views to enjoy. Number 2 Brick Kiln Cottages may be booked with its next door neighbour to allow groups to holiday together with flexibility. It is a bright and airy single storey property with delightful countryside views. 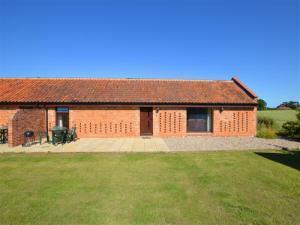 Set in the village of Dilham, it is ideally placed for exploring the Broads, local nature reserves and thecoast.